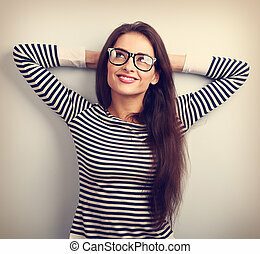 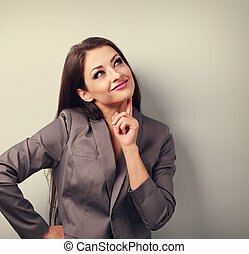 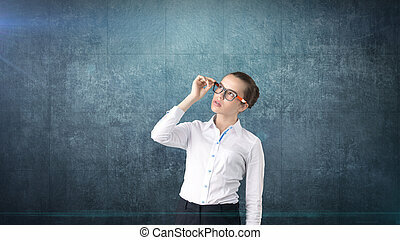 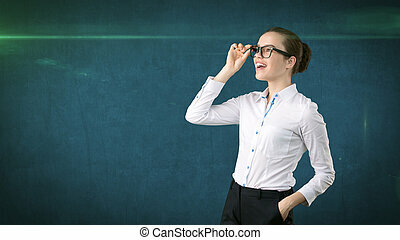 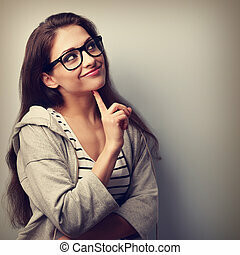 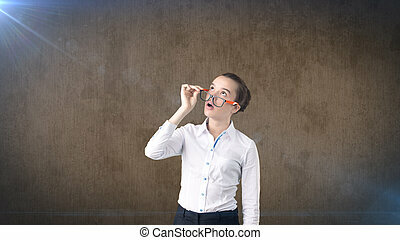 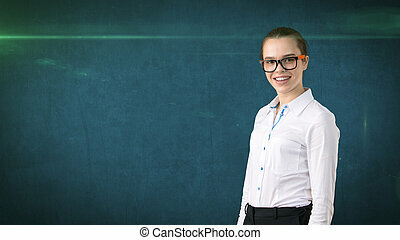 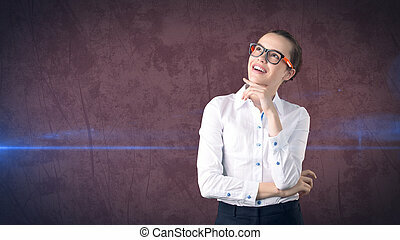 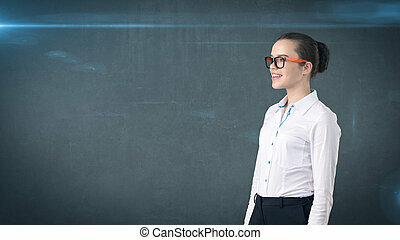 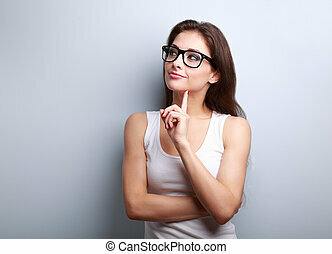 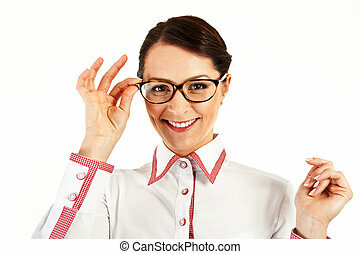 Beautiful business positive woman in glasses looking with thinking look on empty space background. 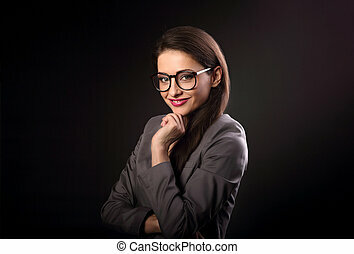 vintage portrait. 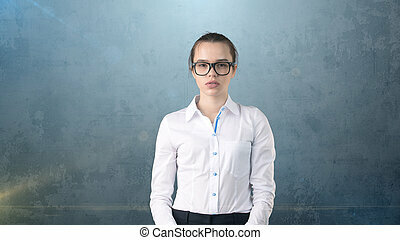 Business woman portrait in white skirt on isolated background. 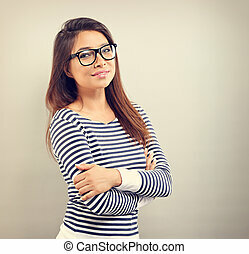 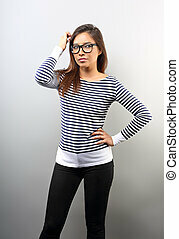 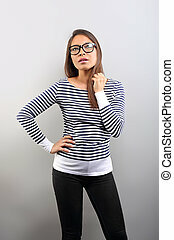 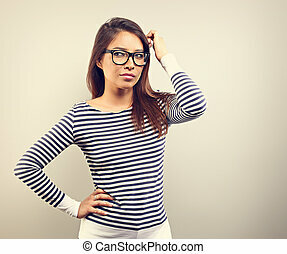 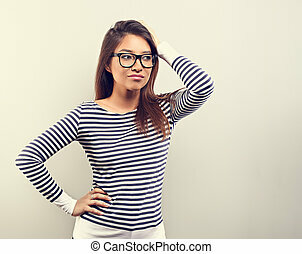 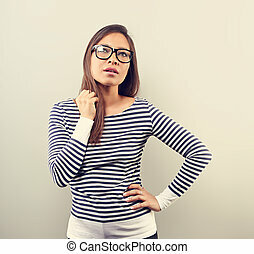 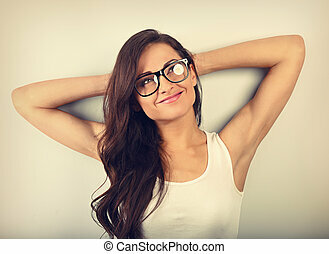 Female model with hair ban and orange and black glasses. 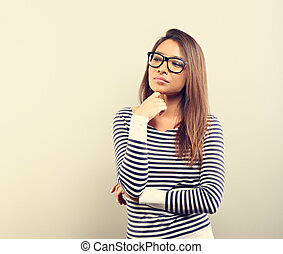 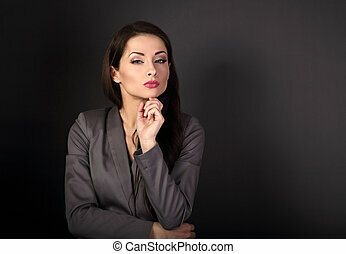 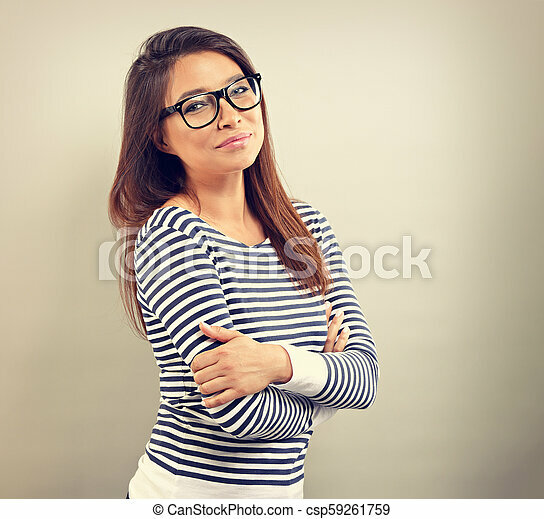 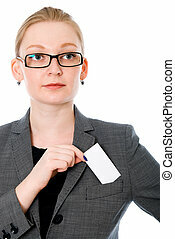 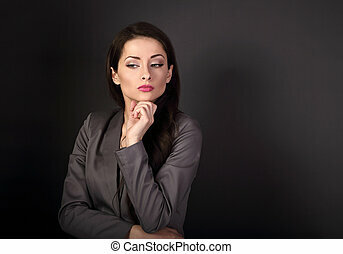 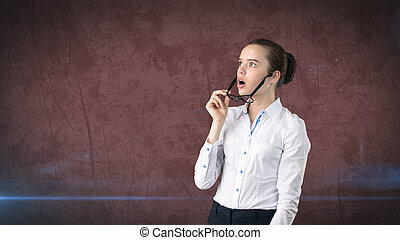 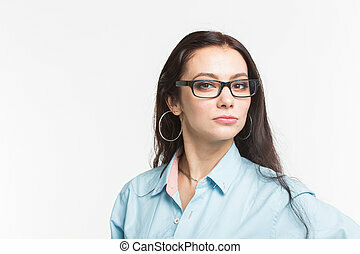 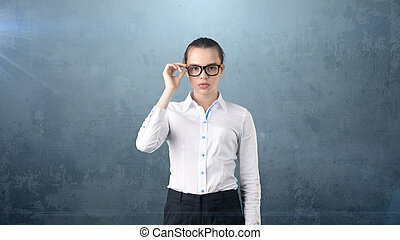 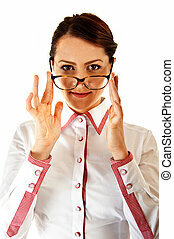 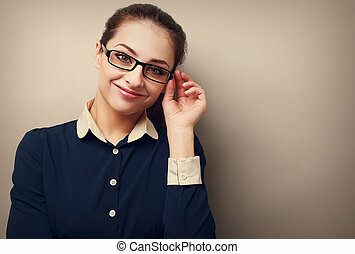 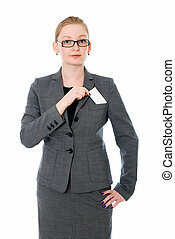 Beautiful business serious woman in glasses looking with hand under the face with thinking look on empty space background.